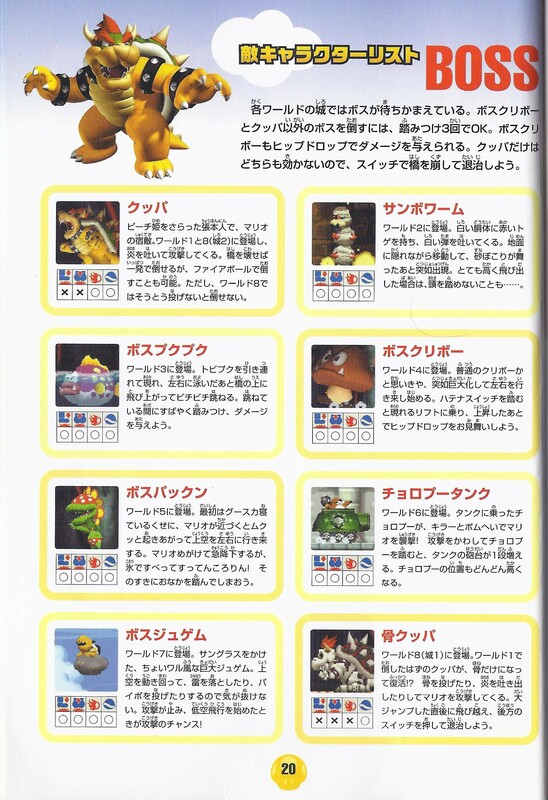 This article is about the boss in New Super Mario Bros. For the enemy in Super Mario World 2: Yoshi's Island, see Thunder Lakitu. 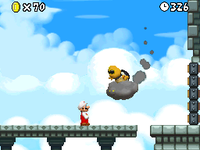 Lakithunder is the World 7 boss in New Super Mario Bros. 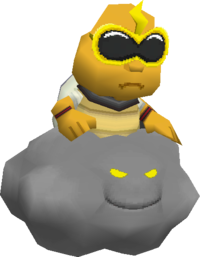 He is a Lakitu with sunglasses who rides a dark cloud; he is a member of the Koopa Troop. As the name implies, he can shoot lightning directly under him, and also throw Spinies like the other Lakitus. The Spiny Eggs he drops bounce around erratically, unlike those of normal Lakitus. The player must jump on Lakithunder's head three times when he swoops down low in order to defeat him. As World 7 is a secret world, he is one of two bosses not encountered in the standard path through the game, along with Mega Goomba. This page was last edited on March 17, 2019, at 15:51.